It seems contradictory to have a painful, arthritic knee, only to be told by your doctor that exercise will help to strengthen the joint and make it hurt less. “But Doc,” you plead, “How can I exercise my knee when too much movement causes me so much pain?” Starting an exercise plan with a bum knee is the last thing you feel like doing right now. However, there are many ways to exercise the muscles in the knee that will still get the desired result without inflicting unbearable agony. The first thing to determine is your activity level prior to starting an exercise plan. If you haven’t done any serious exercising recently, the key is to start slowly on anything new. Stretching is also an important component of any exercise plan, no matter your background. Warming up those muscles helps to keep them limber and prevents the likelihood of another injury that would further inhibit your rehab. And that old saying, “No pain, no gain?” That doesn’t always apply. 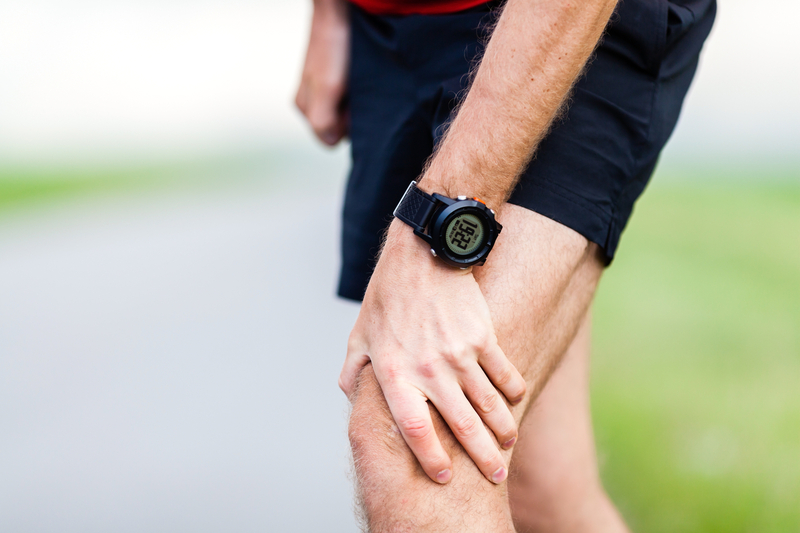 If you experience acute, sudden pain while exercising, stop! Change the type of exercise you’re doing or back off on your intensity to prevent doing any further damage to your joint. It’s typically expected that you’ll have some soreness after a workout, but that should gradually diminish as you continue to exercise and strengthen those areas. Pain that doesn’t go away after a few days means you may have pushed yourself too hard. Additionally, exercise doesn’t have to wear you out in order for it to be beneficial. The best types of exercise in this case will be low impact – water aerobics, stationary bikes and elliptical machines are good options that won’t put additional undue stress on an already painful joint. Walking is another choice that will be easy on your knees while still providing health benefits. Consistent walking, accompanied by a healthy lifestyle, can result in weight loss which is also helpful for taking stress off of a knee. According to researchers at The American College of Sports Medicine, one pound of body weight on the scale equates to four pounds of stress on the knee. One caveat is that you shouldn’t expect results overnight, or even after only a few days. Consistent exercise will help you start to feel better, in body and mind. Find some friends, join a group, and get on the path to better health! Read more about how we treat knees! 3 Responses to "Exercising With Knee Pain"
Thanks for mentioning how low impact exercises will be best when dealing with knee pain. My knees have been feeling pretty weak, but exercise is something that I do quite frequently. I will start doing more low impact exercises as I seek out treatment for my knee. You’re right, start with low impact exercises, i have personally experience this and it really works.